Eight cast members from the iconic NBC soap opera Days of our Lives are headed to Mall of America on Saturday, August 12 for autographs and an audience Q&A. The event will be held at 1 p.m. in the Rotunda. 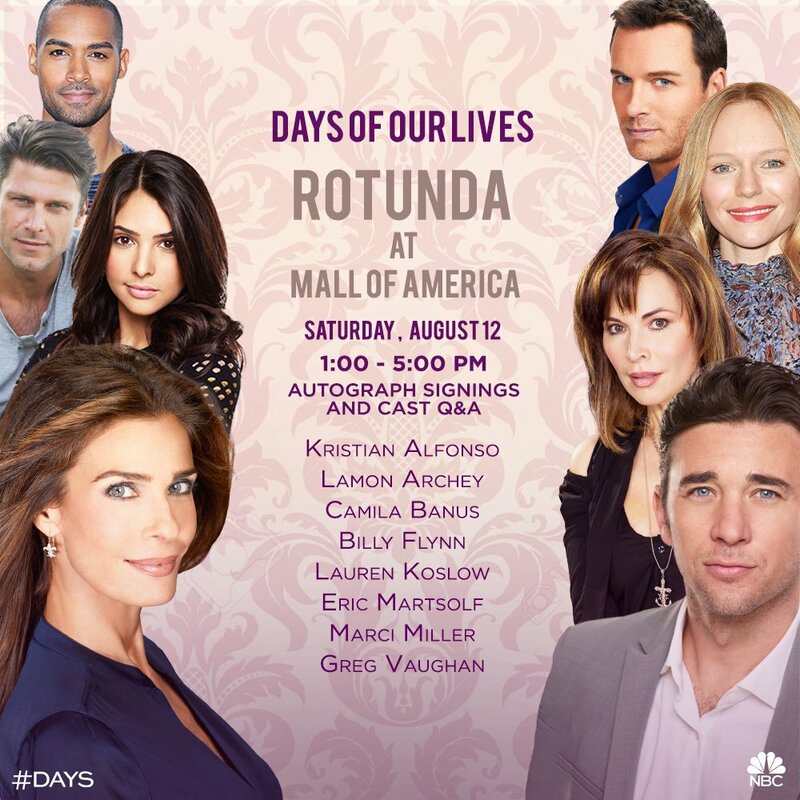 If you're anywhere near Bloomington, Minnesota, on Saturday, stop by to see seven of your favorite cast members including Kristian Alfonso, Lamon Archey, Camila Banus, Billy Flynn, Lauren Koslow, Eric Martsolf, Marci Miller and Greg Vaughan.